Some years back the City of Cincinnati committed to becoming one of those cities that would attack the crime problem by putting up a network of surveillance cameras in strategic locations throughout the city. Initially the idea was to put four cameras on many intersections of interest, with a camera pointing north, south, east, and west. In theory this would give police a view into crime ridden locations allowing them to be more proactive and reactive when addressing crime. Notice that I said in theory, because in practice the idea proved to be way more expensive than the city could afford. What originally started as a good idea became an expensive idea and eventually a bastardized version of the original was implemented. But not without its problems and set backs. The original idea was to put up many cameras, route the feed to a central location, and have the cameras monitored 24/7 so that crime would be digitally captured and evidence of a crime digitally recorded while the crime in progress was being monitored and resources assigned. . But then reality raised its ugly head and it become quickly obvious that safety had a price and the price was something the city could not afford. First, the cost of the cameras originally proposed was exorbitant, so the number of cameras that could be purchased was reduced. Second was the problem of constant monitoring. It was discovered that there was not enough staff to man and monitor the cameras 24/7, even with the reduced amount of cameras being purchased. In fact, it soon was obvious that real-time camera monitoring was a pipe dream, and the concept of monitoring became reactive and not proactive. Due to budgeting, the police department began dwindling in numbers and thee was hardly enough staff to man the streets, let alone watch cameras. 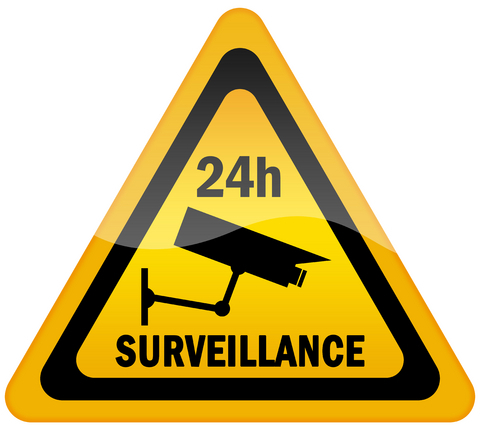 The concept of 24/7 monitoring never became a reality. However, due to an influx of cash from State and Federal Grants, as well as agreements with other entities, the number of cameras available continue to swell in number. The end result, a large number of cameras not being monitored. The good news is, all is not lost. Even though the cameras are not actively monitored, the data they capture is stored and available for a period of time to be reviewed. In other words, a possibility exists that a crime could be digitally captured and an investigator could review the video and solve the crime. Unfortunately, it is random chance that this could happen. Consider this scenario: You, as a citizen strolling downtown suddenly become the victim of a street robbery. As you are laying on the ground after the assault you look up and notice a camera is monitoring the intersection. You will assume the assault will be captured digitally and as a result the perpetrators will be apprehended, and justice will be served. But will it? There are certain variables that will affect the outcome. First, the chances that the crime is even recorded will be dubious. Because there was not enough money to purchase enough cameras to watch all compass points, the cameras are put on tour. This means the area is scanned by the cameras automatically, but there is nothing that will make a camera stop the tour and concentrate on a crime in progress without human intervention. Human intervention means someone needs to be available to monitor and control the camera to take it off tour and watch the crime in progress. But who is watching?In theory, the camera could record you walking down the street, and by the time the tour comes back around, you will be laying on your back noticing there is a camera. But none of the crime, nor any of the criminals will be digitally captured. So how effective are the surveillance cameras? How many crimes in progress have been captured? How many crimes have been solved as a result of digitally captured evidence? These questions need to be asked and answered. This type of technology is not cheap, and ultimately, whether it comes from a Federal grant, a State grant, or out of the city coffers, it originally came out of your pocket. What is the return on your investment? Should cameras continue to be purchased? Are cops on patrol more effective than cameras on tour? What do you think? It is your money. Thank you for reading. Please considering liking, sharing, and subscribing to this blog.